These masks are ready to paint or decorate with paper, feathers, glitter, buttons, beads, sequins, and more. Add additional features with papier mâché. 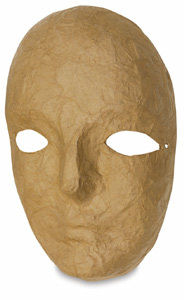 They are a good value for classroom mask-making projects.